Click to Subscribe - It's FREE! Greetings from your WoodWeek news team. From markets, we have an excerpt from the excellent monthly forest operations and business report from PFOlsen. In their comments on the Chinese markets, they report that demand is still okay but not as strong as expected for this time of year. Total inventory levels have been controlled as the supply from both South America and the US has diminished. Within this inventory there are varying levels of stock at each port, and South China is proving more difficult for log exporters than North China. China interest in New Zealand forest and timber processing investment - The largest ever New Zealand forest industry delegation to China's showcase Global Wood Trade Conference has made the case for more investment in New Zealand forestry and timber processing. Forest Owners Association President Peter Weir has told delegates at Chongqing that more timber processing in New Zealand, before export, reduced the overall energy and carbon emissions required to produce and transport the finished product. 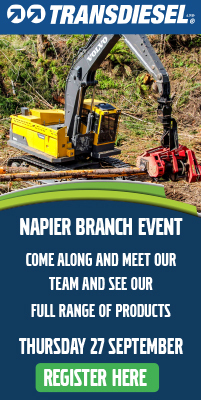 "There's also a particular opportunity for primary processing of pruned logs in New Zealand rather than the current approach of mixing quality logs with sap-degraded logs and a subsequent loss of value by both parties," Peter Weir said. New Zealand Forestry Minister, Shane Jones, told the conference New Zealand is heavily reliant on access to foreign capital and also has a need to substantially increase its forest reserves. He said this is behind the government creating a more streamlined process for investment in forestry using foreign capital and this creates a special opportunity for those interested in working with New Zealand. He invited potential investors to consider connecting with the New Zealand industry representatives. This invitation from Shane Jones comes at a time when there is increasing concern in China with the implications of the US tariffs. Numerous Chinese speakers at the conference referred to the trade war with the US and that they anticipated this to be a long drawn-out battle. Commentators at the conference believe the impact of increased US tariffs could cost China 1.5% of its GDP. On the positive side, potential Chinese investors acknowledged the US trade problems were an opportunity to strengthen other trading partnerships and thus welcomed the invitation from Shane Jones. New Zealand forest growers and processors report constructive engagement with members of the China Timber and Wood Products Distribution Association (CTWPD) - the hosts of the Chongqing Conference. The CTWPD has thousands of members across China and there has been interest from the Chinese members in both the opportunities to invest in forests and processing in New Zealand, as well as securing additional wood supply. A number of the CTWPD group have expressed interest in a reciprocal visit to New Zealand later in the year to follow up on some of these options. 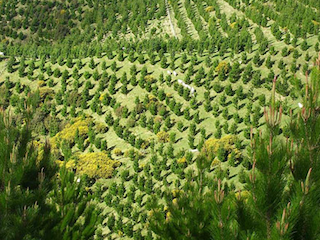 Funding of $5.9 million will be given to landowners nationwide to plant 4,574 hectares of trees under Te Uru Rakau’s (Forestry New Zealand's) Afforestation Grants Scheme (AGS). Eighty-three applications were approved in the 2018 round, with 2,788 hectares being planted in the North Island and 1,785 hectares in the South Island. This year's AGS grants will contribute about 4.5 million trees to the government's One Billion Trees programme. The AGS was launched in 2015 to encourage and support planting new forests. Southland, Waikato and Manawat?-Whanganui regions are planting the largest hectares of trees, with 1,246 hectares in Southland, 1,220 hectares in Waikato, and 428 hectares in Manawatu-Whanganui. The tree type that will be planted in greatest numbers across all regions is manuka. Most tree planting will be done in 2019, with eight funding recipients looking to plant this year. "The AGS has helped landowners achieve positive economic outcomes by helping them plant trees on erosion-prone land and regenerating indigenous forests while reducing some of the high costs associated with marginal land," says Steve Penno, director of investment programmes. "New forests established by the AGS since 2015 have also delivered environmental benefits such as reducing soil erosion, improving water quality, and absorbing around 1.9 million tonnes of carbon every year." With the 2018 funding round complete, the AGS will be replaced by a new grants scheme which will be launched later this year under the One Billion Trees programme. "The new forestry grant scheme will be simplified and accessible and will continue to help landowners meet the cost of planting and establishing trees," says Mr Penno. "The goal will always be to ensure we have the right tree in the right place, for the right purpose," he said. The new forestry grant scheme will be funded through the Provincial Growth Fund (PGF) with $118 million set aside over the next 3 years. A further $120 million has been set aside for partnership projects which will work to create closer relationships with regional councils, non-government organisations, researchers, training organisations, Maori landowners, and community groups. 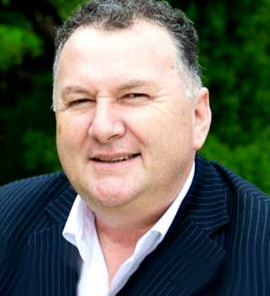 Forestry Minister Shane Jones will visit China and Japan to further strengthen New Zealand’s relationship with two key primary sector export markets. The aim of his visit is to promote investment in New Zealand’s forest industry, support trade development opportunities – including for New Zealand exporters of manufactured wood products – and establish relationships with counterparts and industry stakeholders in both countries. “This visit will build on the many decades of partnership and mutual respect that we continue to enjoy with these countries,” Shane Jones said. “It will also allow us to further promote our forestry industry which is one of our largest export earners, with both China and Japan key markets for New Zealand. “With the Government’s One Billion Trees planting programme, we know that high- quality overseas investment will play an important role in achieving this ambitious goal. “In the year to March, nearly half of New Zealand’s total forestry exports went to the China market, while Japan is New Zealand’s fourth largest investor and a major investor in New Zealand’s forestry industry,” Shane Jones said. The Minister will attend the 8th Global Wood Trade Conference in Chongqing, along with a delegation that includes New Zealand wood processing companies, the New Zealand Forest Owners Association, and Crown research Institute Scion. “It’s important that we continue to take steps like this to promote strategic cooperation in areas of significant mutual economic potential. “This is a well-timed visit as it allows us to highlight the recent changes to the Overseas Investment Act, which will come into force in October. The changes will streamline the process of investing in New Zealand’s forestry sector and will also place more emphasis on value-added wood processing that will create jobs,” Shane Jones said. Total softwood logs stocks in China has stayed around 3.2million m3 with some reports of a recent drop to 3.15million m3. Demand is still okay but not as strong as expected for this time of year. Daily port off-take has increased from 70,000 last month to current reports ranging from 72,000- 80,000 m3/day. Total inventory levels have been controlled as the supply from both South America and the US has diminished. Within this inventory there are varying levels of stock at each port, and South China is proving more difficult for log exporters than North China. Australian pine has replaced New Zealand radiata in the plywood sector which is strong in South China. The Australian pine arrives by containers and is taken direct to the factories which reduces handling costs in China. Business activity may also be somewhat subdued in South China as the weather is still quite hot and sticky compared to North China. Most exporters are selling A grade logs in the low 130’s with very strong buyer resistance to anything over 134 USD. The lower log grades are more difficult to sell at the moment. The irony is that AWG prices for KI and KIS increased more than the higher grade in September, but this is mostly due to some exporters reducing the differential they had between the grades. There is negative sentiment around pruned logs. The CFR sale price for pruned logs a few months ago was up to 180 USD and is now in the mid 150’s USD. The exporters are not optimistic for a strong recovery in the near future. Australia’s forest industries are safe and skilled - Businesses of all sizes across Australia’s forest industries have joined together this week in a united approach to lift safety standards across the board. 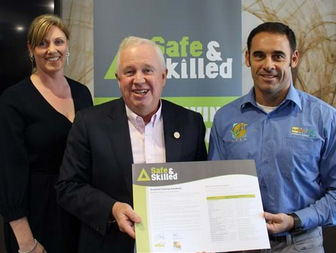 Australian Forest Products Association (AFPA) Chair Greg McCormack, said the Safe and Skilled program demonstrated that Australia’s forest industries are committed to safety and investing in the skills needed to ensure its workers are safe. “Together with the Australian Forest Contractors Association (AFCA) our members have signed up to essential training standards covering the breadth of activities in the forest industry,” Mr McCormack said. “A common approach to training will recognise the importance of having the right skills to do the job across industry and mobilise our industry’s workforce,” Mr McCormack concluded. Along with common training standards, AFPA and AFCA launched 12 lifesaving commitments to guide behaviour in the industry. AFCA Chairman Mr Adan Taylor said the lifesaving commitments draw attention of workers to critical risks in the industry and ensure that baseline safety rules are common everywhere. 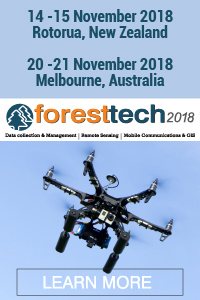 “The Australian forest industry is varied and unique, but in every forest, on every road, at every log dump, the industry demands the same high level of safety. Our workers know the key risks they need to be aware of and the Safe and Skilled program is an excellent reminder of those risks and necessary behaviours to keep everyone safe at work,” Mr Taylor said. “Making sure all forest workers get home to their families at the end of each working day is the driving force behind Safe and Skilled,” Mr Taylor concluded. 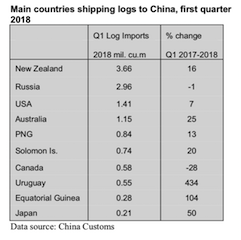 New Zealand and Russia main sources of logs - New Zealand was the main log supplier to China in the first quarter of 2018 accounting for 25% of total log imports. Imports from New Zealand totalled 3.66 million cubic metres in the first quarter of 2018, a year on year increase of 16%. The second ranked supplier of logs was Russia at 2.96 million cubic metres, accounting for about 21% of the national total. In the first quarter of 2018 a year on year decrease of 1% was recorded for log imports from Russia. Average prices for imported logs from New Zealand rose 12% to US$142 per cubic metre, average prices for imported logs from Russia declined 1% to US$124 per cubic metre in the first quarter of 2018. OneFortyOne announces intention to purchase Manuka Island forest estate - Australian forest company, OneFortyOne (OFO) has announced its intention to purchase the Manuka Island forest estate in the Wairau Valley near Blenheim. The proposed purchase is now being reviewed by the Overseas Investment Office. The Manuka Island estate is approximately 2000 hectares of forest and currently owned by Merrill and Ring. Manuka Island will be integrated and managed as one forest estate by Nelson Management Ltd, the management company for Nelson Forests. “The Manuka Island acquisition reflects our intention to continue to invest in the regions where we have an established presence. The acquisition complements our recent purchase of Nelson Forests and is a great fit for their estate,” says OFO’s Chief Executive Officer, Linda Sewell. President Trump, emboldened by America’s economic strength and China’s economic slowdown, escalated his trade war with Beijing on Monday, saying the United States would impose tariffs on $200 billion worth of goods and was prepared to tax all imports. The tariffs on $200 billion worth of products comes on top of the $50 billion worth already taxed earlier this year, meaning nearly half of all Chinese imports into the United States will soon face levies. The next wave of tariffs, which are scheduled to go into effect on 24 September, will start at 10 percent before climbing to 25 percent on 1 Jan. 2019. The timing of the staggered increase will partially reduce the toll of price increases for holiday shoppers buying Chinese imports in the coming months. Forestlands Group of Companies in Liquidation - Following a court process taken by the Financial Markets Authority (FMA), Neale Jackson and Grant Graham of KordaMentha have been appointed Liquidators of the Forestlands Group of Companies (Forestlands). Forestlands comprises 18 companies, which each raised money from the public and invested the funds in forests in the Hawkes Bay and Wairarapa, and a management company. The forests were sold in October 2016. In early 2017 the Financial Markets Authority (FMA) received a number of complaints from investors because the proceeds of the sale of forests had not been distributed. Since then, surplus funds from the sale have been held in a solicitor’s trust account, on the basis they can only be disbursed with the FMA’s consent or by Court Order. Mr Jackson advises “the Liquidations will allow us to commence the process that will result in the funds being distributed to the investors. We appreciate investors have waited a long time for their money. We intend to write to all investors by mid-October outlining the process required for them to lodge their claims. At that time we will also advise investors what they might receive and how the liquidations will proceed”. 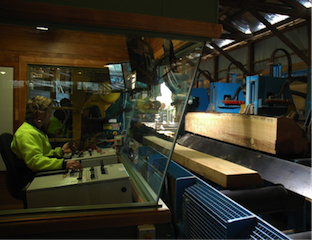 Forestry and wood processing company, Juken New Zealand Ltd (JNL) plans to modernise its Kaitaia Triboard mill - The company is proposing to make a significant investment over the next few years to upgrade and modernise the mill. The mill’s engineered wood Triboard product is globally unique and is used to build houses. The proposal to make the 30-year old mill modern, safer and return it to profitability will see a shut down across parts of the mill to carry out the upgrade, a change to a more efficient operating structure, and investment in new technology and machinery to streamline production. JNL has today meet with employees at the mill to start consulting with them on the proposal and the potential changes. New Zealand General Manager of JNL, Dave Hilliard, says that although the proposal involves some hard decisions, it will give certainty to the Northland community about the long-term future of the mill. “The Triboard mill is important to JNL and to Kaitaia, and we want to keep it open for the long-term, which is why we’re proposing to make a multi-million dollar investment in upgrading the site. “This investment will result in a modern, safer and more efficient mill which can continue to be one of Kaitaia’s largest employers well into the future. Hilliard says that there are three major issues relating to plant, people, and production that currently make it hard for the mill to operate in a sustainable way. “The mill’s machinery and technology is old, despite investment in recent years the site presents Health and Safety challenges that need to be urgently addressed, and the mill’s production is severely constrained by inadequate and uncertain log supply in Northland. Because of these issues, the mill is making a substantial loss. One of the major issues facing the mill is a shortage of logs from Northland forests and an uncertain supply picture in the future. Security of log supply in Northland is not an issue JNL can fix on its own says Hilliard. “We are in early but constructive discussions with the Government about the shortage and how it can be solved. This is an issue that is impacting all Northland mills and creating real uncertainty around wood processing in the region. Juken will now undertake a two-week consultation period with staff in Kaitaia. After that, it will consider feedback on the proposed changes before making any final decisions on the future structure of the Triboard Mill. For years, Tasmania's forest sector was marred by conflict, contraction and change. - Now, timber is back in fashion, demand from interstate is growing and Tasmanian processors are starting to cash in. Tasmania's forestry industry and the families who worked in it were pushed to the brink by the high Australian dollar, conservation protests, bad investment, and corporate collapse. Now there are signs of growth in the industry. Timber is being looked at in new ways, said architect Robert Morris-Nunn. "Yes, it's starting to happen, we're on the cusp of a substantial change in the way people think," he said. He's talking about tall buildings not just featuring timber … but being constructed from it. "Practically all the major buildings that are happening in Sydney and Melbourne, commercial buildings, where you're up to about 20 storeys …it's all timber," said Mr Morris-Nunn. And if they have avocados, get 6." A short time later the husband comes back with 6 cartons of milk. The wife asks him, "Why did you buy 6 cartons of milk?" He replied, "They had avocados." A young man shopping in a supermarket noticed a little old lady following him around. If he stopped, she stopped. Furthermore she kept staring at him. She finally overtook him at the checkout, and she turned to him and said, "I hope I haven't made you feel ill at ease; it's just that you look so much like my late son." "I know it's silly, but if you'd call out 'Good bye, Mum' as I leave the store, it would make me feel so happy." She then went through the checkout, and as she was on her way out of the store, the man called out, "Goodbye, Mum." The little old lady waved and smiled back at him. Pleased that he had brought a little sunshine into someone's day, he went to pay for his groceries. "That comes to $121.85," said the clerk. "How come so much? I only bought 5 items." The clerk replied, "Yeah, but your Mother said you'd be paying for her things, too." That's all for this week's wood news. If you enjoy WoodWeek - pass it on. Go on - tell a mate to subscribe – it’s FREE! We welcome comments and contributions on WoodWeek. For details on advertising for positions within the forest products industry or for products and services, either within the weekly newsletter or on this web page, please contact us.